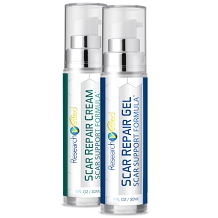 Skin ScarGel Spenco Medical Corporation Review - Does it Work? When it comes to matters of packaging and marketing, this product employs the traditional norms, ways and tools that we are all familiar with. This means that you can find this particular product packaged in the usual packages/bottles and you can access it through the traditional channels of distribution either by walking into that drug store or outlet near you or by ordering for it online. There is no information provided on its ingredients. Clean and dry hands and the scar site. Apply a thin coat on the affected area, allowing to dry naturally. Upon reapplication, wash the scar site in mild soapy warm water and dry. Follow this procedure daily. Reapplication is recommended after bathing, exercising or as needed. If a rash or itching occurs clean the affected area with soapy water. If symptoms persist, discontinue use and consult your doctor. Store the gel in a cool, dry place when not in use. Below is a list of the possible side effects that may be experienced with the usage of this gel. If rashes or itching occurs, make sure you clean the affected area with soap and water. Discontinue usage and consult a doctor if symptoms persist. 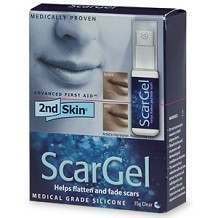 2nd Skin ScarGel should not be used on individuals with dermatological disorders or conditions. The extent of scar reduction varies depending on severity of the scar. There may be some scars that may not respond to the treatment. Each 15 g pump bottle costs $9.99.It is a pocket-friendly product but it does not have any special manufacturer discounts. As we all know, FDA inspection is ideal when trying to establish the good quality of a product; how and where it was made. This product has none. In addition to that, there is no money back guarantee put in place for this product.